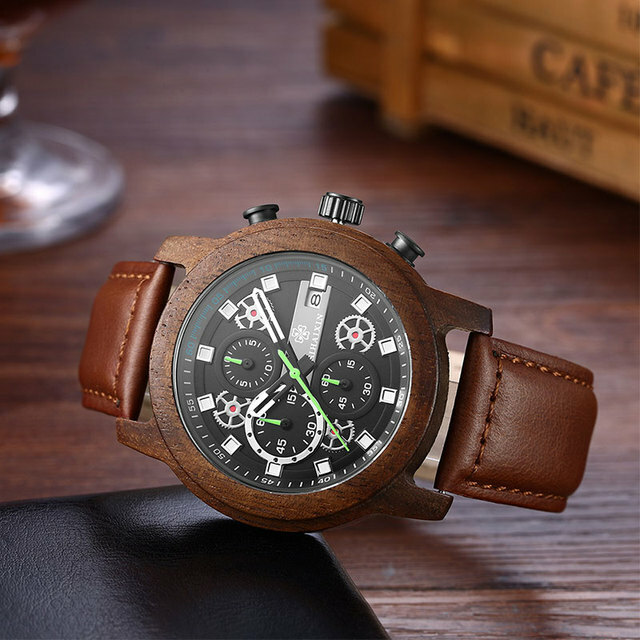 Top quality chronograph genuine wooden watch that simply comes with the lot. 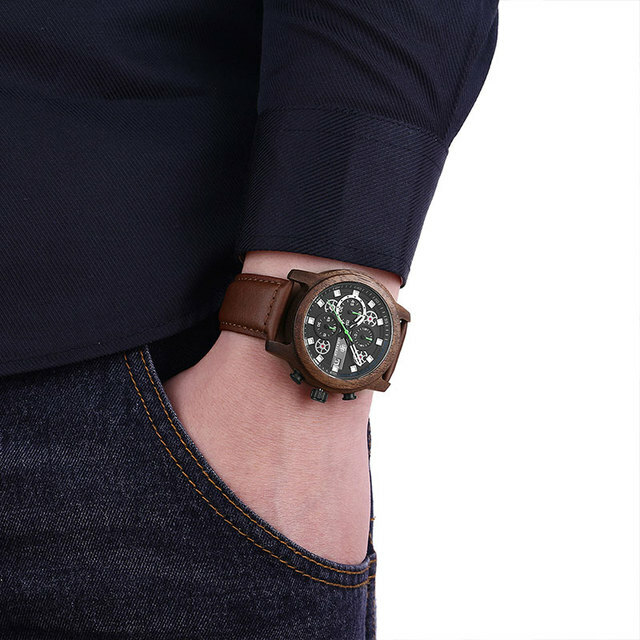 Ideal for business or part of your every day attire. 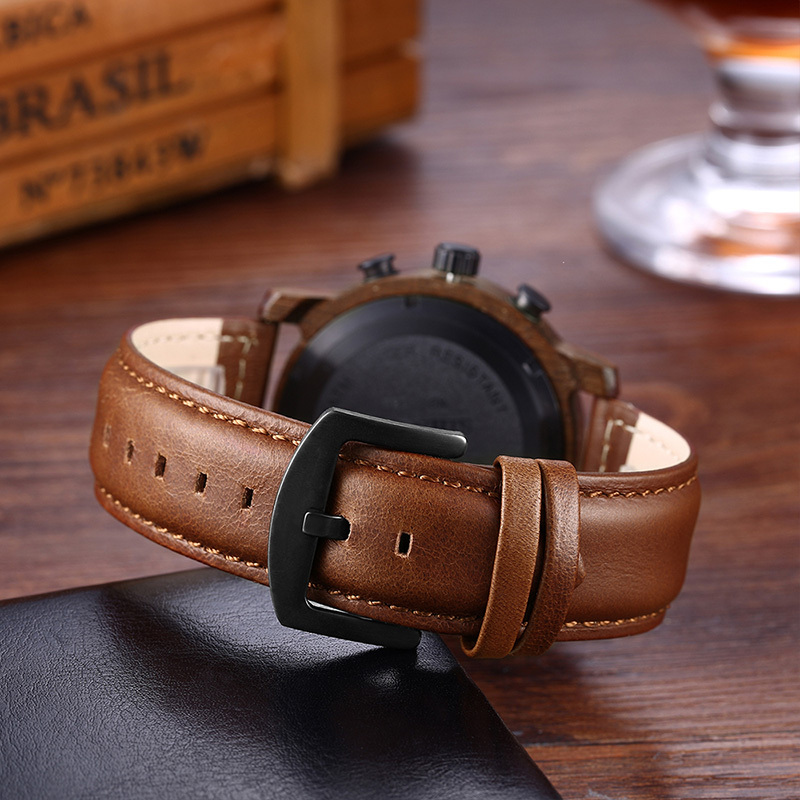 Water resistant, Auto Date, Stop watch and much more. 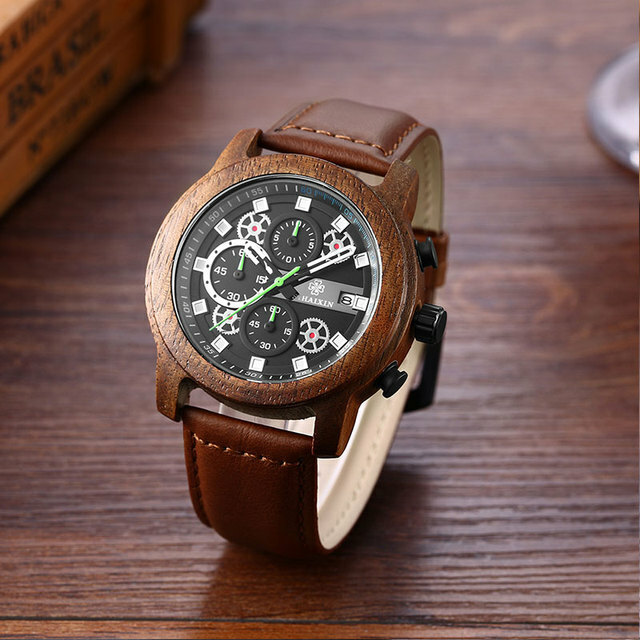 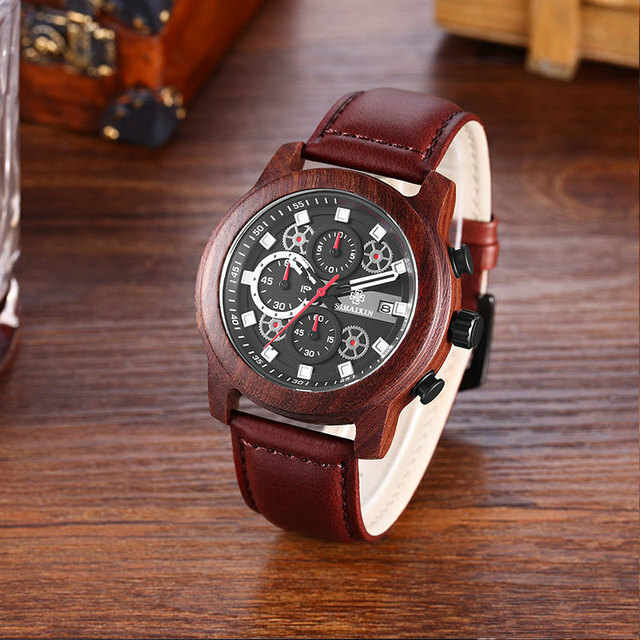 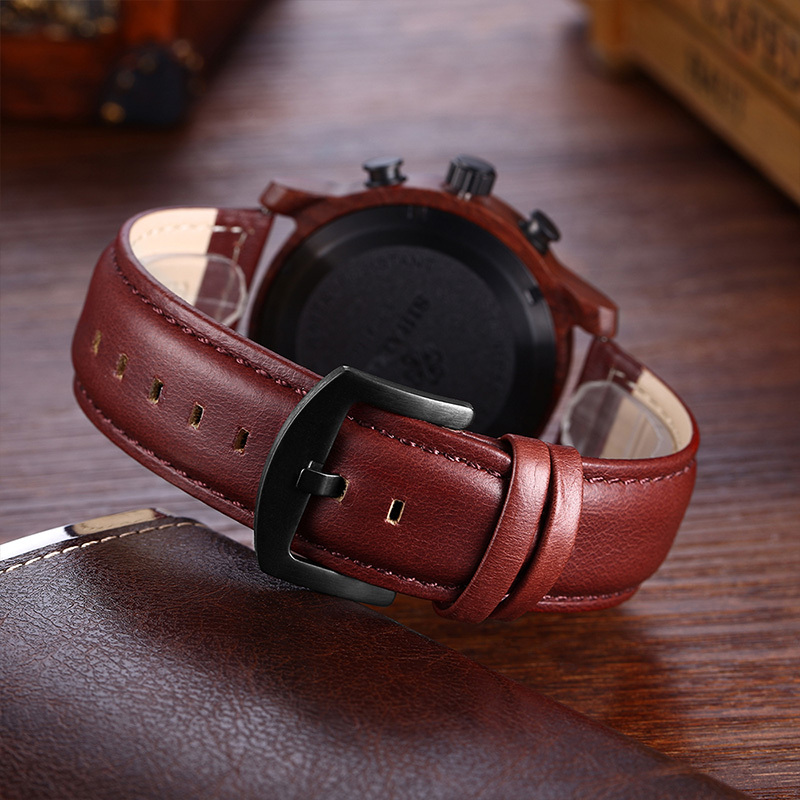 SIHAXIIN wooden watch is made of 100% natural bamboo and wood handicrafts, there maybe some spots of the bamboo, this is not a quality problem. 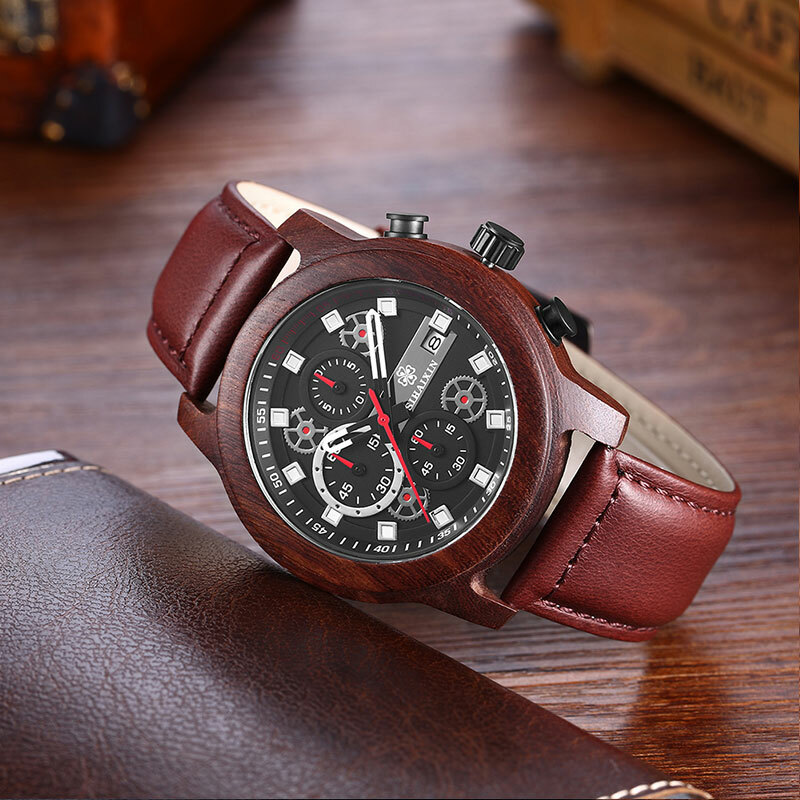 All products sizes are manual measurement, the specific size to prevail the entity, this watch is designed to give you comfortable and beautiful look. 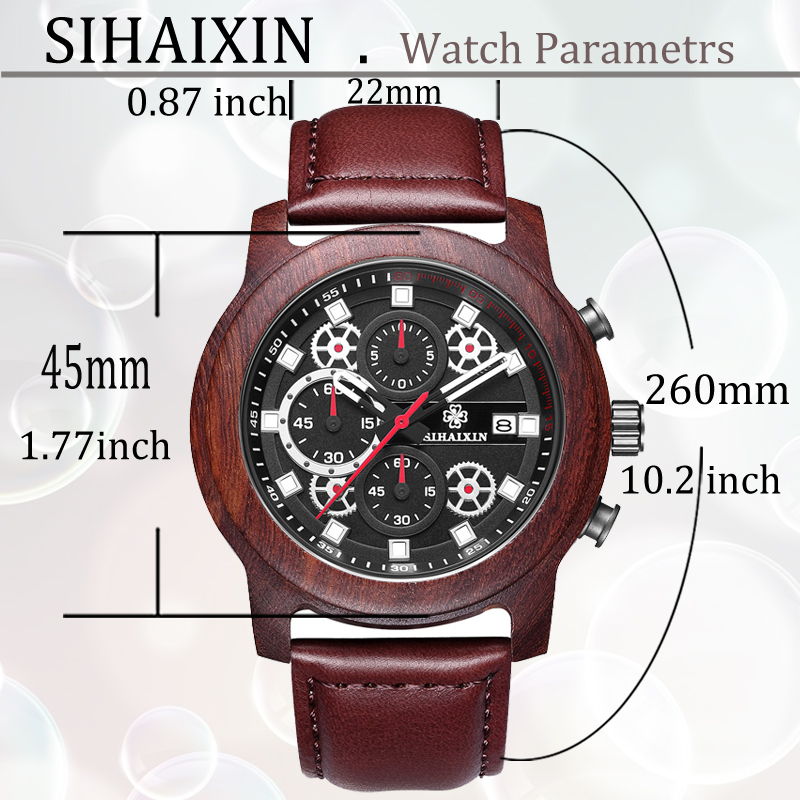 High quality Japanese movement quartz.